Here comes another mini Linux powered notebook PC that is aimed at the Asus Eee PC market, the Fukato Datacask. 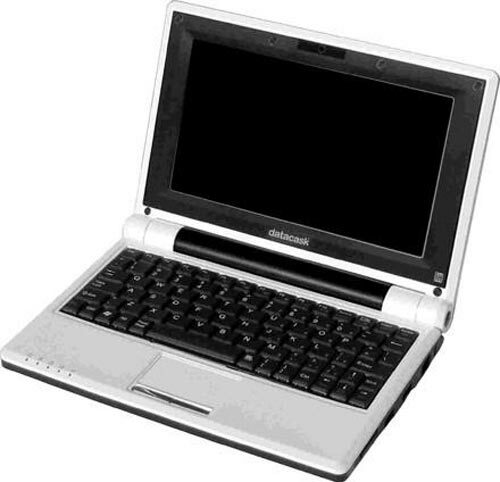 This tiny Linux powered notebook will feature an 8 inc screen with a resolution of 800 x 400, a 500MHz AMD Geod LX Processor and 512MB of RAM. For storage there is a 20GB hard drive, and it will run Linux, no details on which version as yet. There is also a 3 hour battery and it comes with a 3 year warranty as well. The Fukato Datacask will go on sale in Europe in May for 279 Euros (about $440).